Here's the next look of the Halloween series and this one might be less suited to wear to your average party than a dainty skull face. What it actually is, is an out of control attempt to use a homemade special effects gel for creating irregular skin texture and wounds. Let me explain. I was browsing YouTube, looking for inspiration, when I came across this video about a DIY recipe for prosthetic gel. All you needed to make this gel is gelatin, glycerin and water. I've always admired YouTube guru's who make the craziest prosthetic pieces and create the most realistic special effects using basic prosthetic-making products like scar wax and liquid latex, but since I don't have a special effects makeup store nearby, this seemed like a cool thing that I could try right away. And so I did. Start by applying a thing layer of the gel over your entire face when it's still liduidy. This will serve as a glue for the larger pieces you'll apply later. Now wait for your mixture to get a syrupy texture and start putting it in the places where you want the sores to be most prominent. Your gel will start to solidify soon and when that happens, just switch to making random lumps and pieces and sticking those on. Take a small hand of the mixture, spread it through your fingers so it starts clumping together and randomly push the pieces onto the sticky bits of skin. Now wait until everything is pretty much dry. Optional: To create some variation among your sores, lash glue is the way to go. Pick a spot, apply a few layers in a shape of your choice, wait for it to get tacky and then scrape away the middle part, leaving you with a crater-like shape. When it's completely dry, just powder it off, apply some black and red shadows in the opening and add some fake blood. There's your perfect festering blister! It's crucial to powder the entire face once your gel has set, since it gets very sticky. Use a sponge you don't mind messing up. Also powder the lips to cancel out any color and to make them look dull and dry. Tip for lifeless looking lips: tighten the muscles in your mouth and sweep a grey shadow on top, concentrating it in the center. Your lips will look totally dried out and very zombie appropriate. This is where the fun part starts. You can use red, brown, purple, grey and black eyeshadows to further define the gelatin lumps and to create an ashy, bruised looking skin. Also use a greyish brown shadow to contour the face using dabbing motions(!). If you sweep your brush or your sponge over the skin, the gel will come off. Use some browns, purples and reds - preferably cream products (lipstick will do as well) - to make your eyes look bruised and infected. No makeup skills needed whatsoever. Use a red eye pencil to line your water line: instant zombie eyes! Now what is a fake infected sore without a generous amount of fake blood? For mine, I just bought some food coloring tubes at the local supermarket. The red one turned out to be a perfect bloody red and it had the perfect consistency as well. It was just liquidy enough to easily create drops without them running down your face. You can go as far as you want with this. I applied most of it directly from the tube, but also used a sponge in some places. One technique I found worked wonders for creating a convincing bloody sore, was to actually inject the point of the tube into the larger gelatine lumps and carefully squeeze some product right in there. It'll be as if the blood is coming from inside the sore and it will look gross. Promise. So that's it for this one! I hope I haven't traumatized anyone by sharing this with the world. And please don't call the mental institution on me. :) Stay tuned for my next Halloween look! 0h Linde I'm going to have nightmares now! Great job! It's SOOOO creepy! Haha I hope you survived your nightmares! :) Thank you Sunny! Oeeh dat ziet er echt eng uit! Vond het vroeger ook super jammer dat er hier zo weinig halloween gevierd wordt. Hihi, door zo`n tutorial krijg ik echt zin om met make-up te experimenteren. Wat een gave foto`s! Ik vind je blog erg leuk en ben je met bloglovin gaan volgen! Hopelijk neem je ook eens een kijkje op mijn blog! Dankjewel!! :) Ik ga een kijkje nemen op je blog! Echt geweldig haha, kan niet stoppen met kijken zo echt lijken de zweren! wow fantastic!!!!! 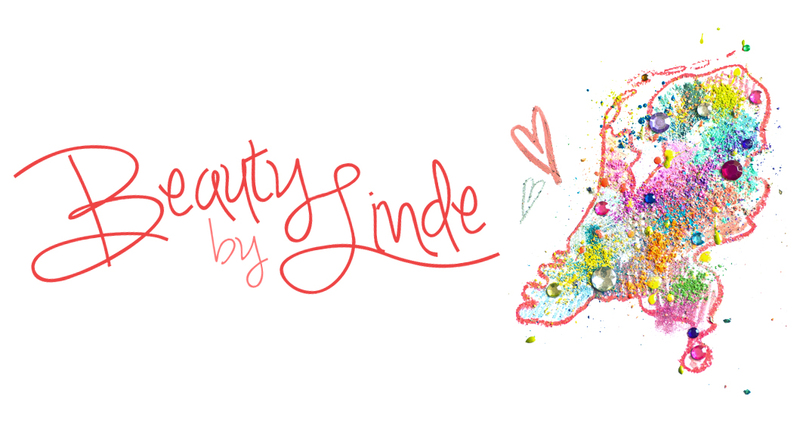 stunning work, Linde! I also love the eyes, they look spot-on with the purple coloring around them AND the lips, too! It looks so real; disgusting, indeed, haha! Oh my god, amazing job! I must say you are really creative. Errrr! this is amazing! What a great makeup job! You totally freak me out. So gory and creepy. 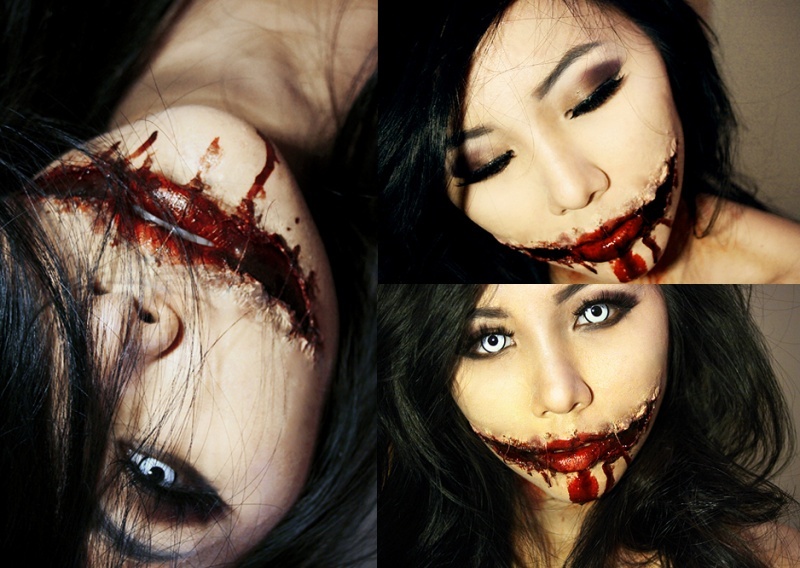 I've been collecting some makeup ideas for halloween, I'd surely love to include this one.